Wargaming has revealed that a recent security incident may have compromised player's information. Tanks are built to be impervious to a lot of things. Gunfire, chemical attacks, zombies; there's generally not much a tank can't protect you from. That said, it seems even metal behemoths with gigantic guns aren't safe from the internet. Wargaming, the makers of World of Tanks, confirmed yesterday that the game had suffered a security incident that may have allowed outside parties access to player information. Though no financial information was included in the breach, account holders are still being urged to update their profiles with new passwords to help prevent any further problems. To help motivate players to reset their passwords and do it quickly, Wargaming is hosting a "Change Your Password Event." 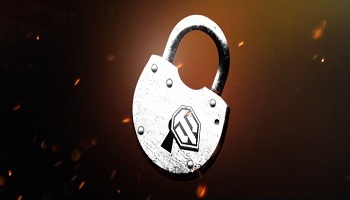 "In order to improve security and maintain account integrity for all of our players, Wargaming is supplying a one-time installment of 300 gold to each player that successfully updates their account password," said Wargaming in an announcement. "While we do support the regular updating of your account password, your account is only eligible for one payment." While this incident looks to be nowhere near as disastrous other infamous cases of gaming related hacking, it's still fairly notable. World of Tanks has one of the largest player bases in the entire world, ending 2012 with more than 45 million registered players. Any way you swing it, that's a lot of compromised information and fans would do well to heed the company's call and reset their passwords swiftly and soon. After all, even if nothing financial was revealed, you still don't want someone rooting around in your things, especially when a tank, virtual or not, happens to be one of them.